Managing your family finances is important and one of the best things you can do is to protect your family from future financial hardship. Setting up a family budget may not be the most enjoyable task, but it can help to set goals and ensure that money is available during difficult times. Creating a budget does not have to involve any elaborate tools, something as simple as an Excel spreadsheet can be used to assess how much money is coming in and where that money is going. It may then be possible to re-direct some money towards a long term goal. When thinking about a family budget it is a good idea to have a goal, whether it is the purchase of a new home or a family holiday. This will be an incentive to save money regularly. It is also important to separate out discretionary spending and items such as mortgage payments, utilities and car insurance that have to be paid. This will give an idea of how much money is available each month for extras that are nice to have, but not essential. Subdividing the discretionary spending can also help to focus attention on just how much is being spent. People who do not keep track of their expenses are often surprised to find out how much they really spend on certain items. Once you know where the money is going, you can set realistic monthly allocations for the different items. Paying off debt is important as if this is not done, not only can a lot of money be spent on interest payments, but there is also the possibility that debts could spiral out of control. The minimum payment should at least be paid each month and, if the debt situation is serious, consider getting some professional help to get the debts under control. Any debt counselor should be connected to agencies such as the National Foundation for Credit Counseling. If possible a buffer should be established so that, if something unexpected happens, there is no need to go into debt. 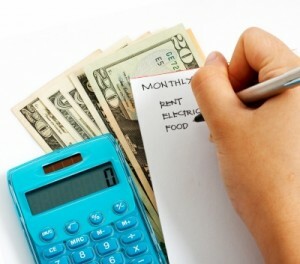 Some experts on family finances suggest that a good way of controlling spending is to pay for items such as groceries, gas or pet supplies with cash as this forces an individual to recognize how much he or she is spending each month, and thus control their spending. If there are problems with paying bills, then investigate if changing the billing cycle will help. Spacing out the dates on which bills have to be paid can help with budgeting and most creditors will make such adjustments. An umbrella company can help with family finances, especially if some members of the family are self-employed. 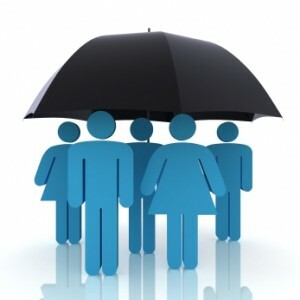 An umbrella company can handle much of the administration that is involved in running a single-person company. The umbrella company will take care of taxes and other deductions and each month the freelancer will receive a payment, smoothing out payments and thus making it much easier to develop a family budget and financial plan. Business expenses can also be claimed, such as travel, accommodation and meal costs.